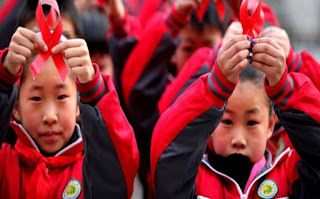 Over 820,000 people in China has contracted HIV/AIDS. According to the health official, during the interview said about 40,000 new cases were reported in the second quarter alone. About 93.1% of the new cases were transmitted through sexualintercourse, rather than blood transfusions. The state media reported on Saturday. People who contracted HIV virus through blood transfusion in China has totally been reduce to zero according to Xinhus . In 1990s, The rural part of China particularly the central province of Henan- endure the country most debilitating of AIDS epidemics. In 2015, State media reported the case of five years old girl who had contracted HIV virus through blood transfusion during an operation for congenital heart disease. It stemmed from a tainted government backed blood donation programme and infected tens of thousands of people including the entire villages. China reports 14% surge in new cases of HIV/AIDS was brought to you by floralove.